The dog park is one of the most popular parks in Middle Smithfield, and now it has a new name. 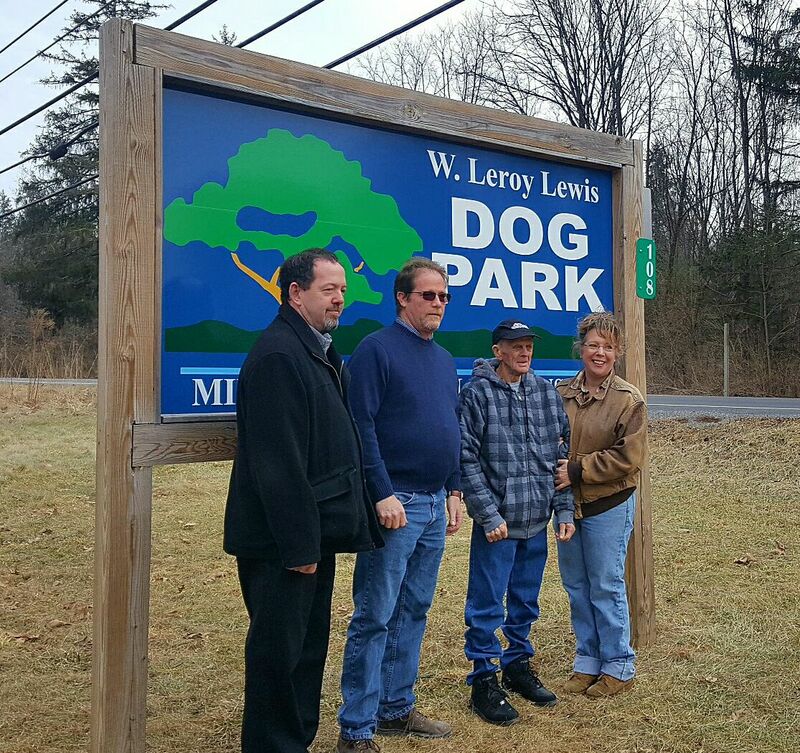 At their meeting on December 28, the Township Board of Supervisors voted to change the name of the Middle Smithfield Township Dog Park to the W. Leroy Lewis Dog Park in honor of Leroy Lewis, the park’s long time caretaker. The park’s address is located at 108 Leroy Lane, which is also named after Lewis. A new sign reflecting the name change was installed in January. A rededication ceremony took place on Saturday January 27 at 1pm to unveil the sign. Township Supervisors, staff, and Leroy attended, as well as many of the dog park regulars. Leroy was overjoyed to see his name on the park he has spent the last several years helping to run. Leroy Lewis Dog Park is located at 108 Leroys Lane along Milford Rd. (Rt. 209) just south of the National Park entrance. It is open to the general public every day from sunrise to sunset. For more information about MST parks, please contact the Parks Department at 570-223-8920 x119 or Parks&Recreation@mstownship.com.